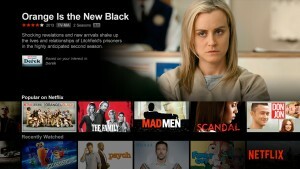 Netflix gets its ‘strong’ net neutrality; now what? Other than President Obama, whose surprise endorsement of reclassifying broadband access as a Title II telecommunications service upended the FCC’s open internet proceeding late in the game, nobody moved the ball farther in the net neutrality debate than Netflix. After months of insisting it would not seek to regulate interconnection arrangements between last-mile ISPs and “edge providers” like Netflix, or its middle-mile transit service providers, as part of its open internet proceeding, the agency has apparently done an about-face and will now do just that, by bringing those arrangements under the same Title II umbrella that will now cover last-mile service. For the first time the Commission would have authority to hear complaints and take appropriate enforcement action if necessary, if it determines the interconnection activities of ISPs are not just and reasonable, thus allowing it to address issues that may arise in the exchange of traffic between mass-market broadband providers and edge providers. That’s largely Netflix’s doing. Between Reed Hasting’s vocal advocacy for what he called “strong net neutrality,” and Netflix’s full-court lobbying press on Congress, the White House and the FCC, the issue went from being off-the-table to being a center-piece. From the point of view of the future evolution of the OTT video business, it’s also by far the most important piece of what the FCC is preparing to do. While the headline elements of the FCC’s new order are the ban on paid prioritization over the last mile, and the no-blocking and no-throttling rules, the ISPs and their political allies had by now largely conceded those points. Even the legislation introduced by Republicans on Capitol Hill last month to try to preempt FCC action on net neutrality included a ban on paid prioritization and no-blocking and no-throttling provisions. Interconnection represented ISPs last point of leverage with edge providers to try to force some of the cost of provisioning their networks to handle the surge in OTT traffic back onto OTT services like Netflix. But now that, too, appears to be in jeopardy. I say “appears” to be in jeopardy because, although the “just and reasonable” rate standard has a long history in statute, case law and regulation, it has not previously been applied in this context. It is more typically used in setting rates that consumers can be charged for things like gas and electric service and local telephone exchanges. How the FCC, and no doubt ultimately the courts, will apply those models to what are basically B2B arrangements between network operators, or what rate of return it will target for ISPS, are unclear. “Despite the repeated assurances from the President and Chairman Wheeler, we remain concerned that this proposal will confer sweeping discretion to regulate rates and set the economic terms and conditions of business relationships,” National Cable & Telecommunications Association president and CEO Michael Powell complained in a statement. Nor is it clear how Netflix and other OTT services might try to leverage the FCC’s new oversight of peering deals. Even Netflix acknowledges when pressed by investors, that the amounts of money it currently pays to Comcast, Verizon and few other large ISPs for interconnection are not material to it overall cost structure, which is overwhelmingly a function of its content costs. The fees at this point are mostly a stalking horse for the ISPs as they contemplate possible future negotiations with an even-larger Netflix by then in a position to demand payment from the ISPs for “carriage” of Netflix programming — just as pay-TV networks today extract payments from cable and satellite providers for carriage. Netflix, unsurprisingly, was thrilled with today’s announcement. Whether it can use that process now, retroactively, to challenge the agreements it made with Comcast et. al. is another unknown at this point. But it’s clear from Netflix’s aggressively lobbying on the issue that it wants to kill the ISPs’ stalking horse now, before it gets too far out of the barn. All we really know for certain is that the FCC’s formal vote on the new rules, scheduled for Feb. 26, will be just the start of the discussion around the terms of distribution for OTT services, not the final word.